What is DDMRP? It is a Multi-Echelon Material and Inventory Planning and Execution system that enables a company to become Demand Driven. It provides companies with the operational planning and execution tools to work in today’s “New Normal” where forecasts have gotten worse, supply chain complexity has increased, customer tolerance has decreased and inventory has become a major priority. DDMRP is rapidly becoming the world standard for the emerging Demand Driven methodology in planning, scheduling and execution of the entire supply chain from retail and distribution to manufacturing and multi-tiered suppliers. DDMRP (Demand Driven MRP) is the core of the Demand Driven Operating Model that provides companies with the operational planning and execution tools to revolutionize their supply chains, right-sizing inventory at strategic locations throughout the entire supply network while dampening supply chain volatilities at the same time. These strategic inventories decouple the entire supply network and absorb inherent variabilities and volatilities enabling visibility, control, responsiveness, and agility. DDMRP was developed by Carol Ptak and Chad Smith the founders of the Demand Driven Institute as a tool that will promote and protect flow through the entire supply network. 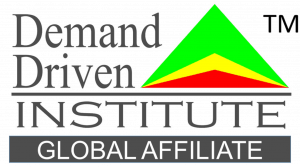 The Demand Driven Institute is an organization that is devoted to the proliferation and development of Demand Driven strategies in industry. In addition to these significant benefits, DDMRP will also mitigate against business risk. Instead of traditional forecast driven procurement, DDMRP enables businesses to track actual demand and supply and make required adjustments all in real-time.